EnergyCasino has offers an incredible selection of Live roulette games from Evolution Gaming and Extreme Live Gaming, giving an authentic real-world casino gaming experience. But, how clued up are you on the art of roulette? There are literally tens of thousands of articles out there making absurd claims about systems and strategies, but can you really use any to win more? Out of all the roulette strategies out there, perhaps the most famous is the Martingale system. This does, indeed guarantee winnings, but has a fatal flaw. In the Martingale system you need to have enough of a bankroll to double your bet after every loss – without hitting the table limit, which is, in almost all circumstances, impossible. In fact, it has been called the ‘quickest way to bankruptcy known to man.’ So, that’s one to avoid for sure! But, there are things to know that will give you a better grasp of roulette, and enable you to play a more enjoyable game. 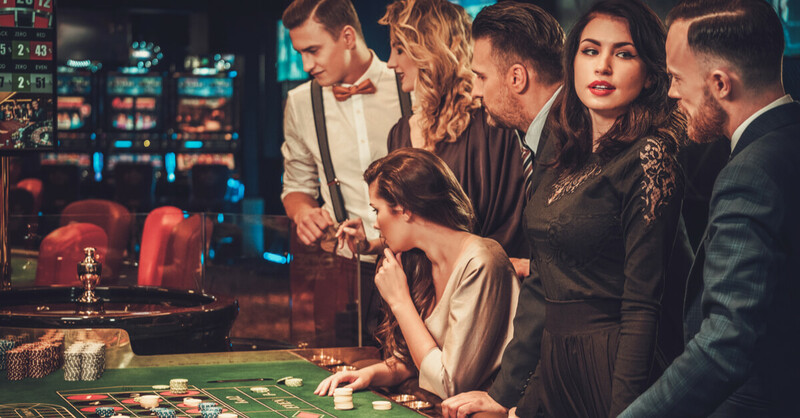 A good rule of thumb for enjoyable roulette play, like with many other games, is to play a ‘big game’ – taking into account your winnings over a longer period. Even the most successful players will have losing streaks, and it is important to keep these in perspective, otherwise they can put players into a negative mood, when they are more likely to make reckless moves. Before you even play, you should understand the difference between American (double-zero) and European Roulette (single-zero) wheels. The original roulette wheel was invented by French mathematician, Blaise Pascal, in 1642, and very soon after the ‘0’ and ‘00’ spaces were added to give the house an extra advantage. Though roulette was popular, in 1842 Francois and Louise Blanc gave King Charles III of Monaco a gift that changed the game forever. They presented the king with a roulette wheel with the ‘00’ space removed, thus reducing the house’s edge from 5.26% to 2.70% and creating a much more attractive game for players – and European, as we know it today, was born. When roulette took off on the other side of the Atlantic, during the gambling boom of the 19th century, the ‘00’ was added to the wheel again – and with typical American ‘entrepreneurship’, some even added a third house space in the form of an eagle space. Whilst the third space proved too much even for enthusiastic Yankee gamers, the ‘00’ remained, and is still with us today, giving the house an edge of 5.26%, or nearly double that of European roulette. So, just by understanding your roulette history, and picking a European game (single-zero wheel), you can significantly increase your chances of winning. Some casinos offer “surrender” anytime, meaning that if one of the propositions of red/black, odd/even or high/low hits, only half the bet is lost if the ‘0’ or ‘00’ appear, with the other half returning to the player. In American roulette, “surrender” halves the house edge, bringing it down to 2.63%. So, if you can find games with “surrender” and only play outside “even-money” bets, you will increase your chances of winning. “En prison” has the same effect as “surrender” but is normally found on European wheels, and goes about it in an entirely different way. When a green ‘0’ appears, “even-money” bets are locked until the next spin of the wheel. For example, if you were to bet red and the ‘0’ hits, your red bet will stay until the next round when, if red hits again, you will get your bet back. If black hits you lose, and if it is another ‘0’ your bet remains “in prison.” Playing this will reduce the house edge even further to 1.35 percent. In the old days, in real-world casinos, some players did covertly study thousands and thousands of spins, to find biased wheels. In fact, many of the famous examples of players breaking the bank, were attributable to this. But, even then, for every cheater who succeeded and you heard about, there were hundreds who simply went bankrupt and disappeared into obscurity. And, let’s be honest, where’s the fun in wasting your life trying to find almost impossible to detect patterns on roulette wheels? We say it’s far better to actually enjoy playing roulette! Again, when playing roulette, it is important to understand that, whilst there are versions of the game that can actually increase your chances of winning, as per “surrender” or “en prison”, by reducing the house edge – other than that, no matter what people want to believe, it is a game of chance. As the saying goes “the wheel has no memory”, and whilst it is always tempting to believe that a certain number or colour is hitting out of all proportion to realistic probability, it is just the nature of chance. This is why it is so important to play for leisure, and enjoy the actual process. A good practice that many professional players follow is to set up a separate bank account, just for their roulette. Every month, they add an affordable amount, and then use this to fund their play. This way they can easily keep track of the money they have won, and can play confidently and without pressure. Of course, as with all gambling, true professionals also understand that you can’t ever take the results of a random wheel spin personally. Sometimes luck just won’t be going your way, so it’s best to sit things out. Other days, when things are going your way, then enjoy it.